“You only need to look at the decades of scientific research and at the epic droughts and superstorms to know that we can’t wait any longer to take action on climate change. I applaud President Obama for using every tool at his disposal and not waiting for Congress or a new international treaty. California and nine eastern states have used similar policies, including an effective cap-and-trade system, which can serve as a national model to help our country achieve the President’s goals. As California Governor, Arnold Schwarzenegger used executive action and signed laws that made the state cleaner, more sustainable, and more prosperous. He championed large new solar and wind energy projects; the Million Solar Roofs Initiative; the Hydrogen Highway for clean cars; and the Low Carbon Fuels Standard to make cleaner fuels available to everyone. 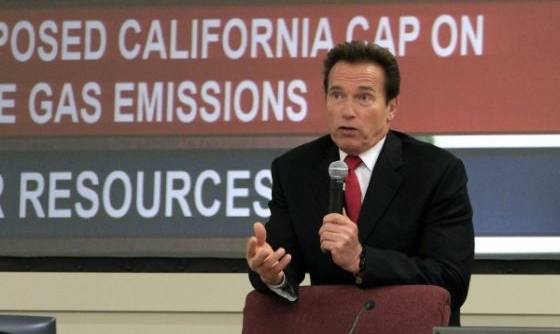 In 2006 Governor Schwarzenegger signed the Global Warming Solutions Act, which set a goal of reducing California’s greenhouse gas emissions in 2020 to the 1990 level. A centerpiece of the law was a provision requiring polluters to cap emissions.